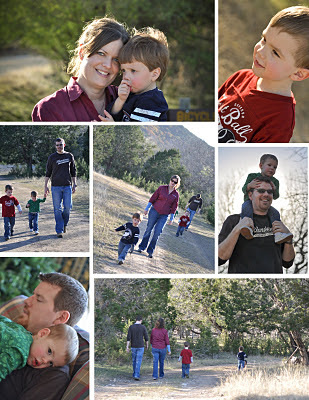 We spent the last few days of 2011 in Leakey, TX with Leslie, Philip, and Mitchell. 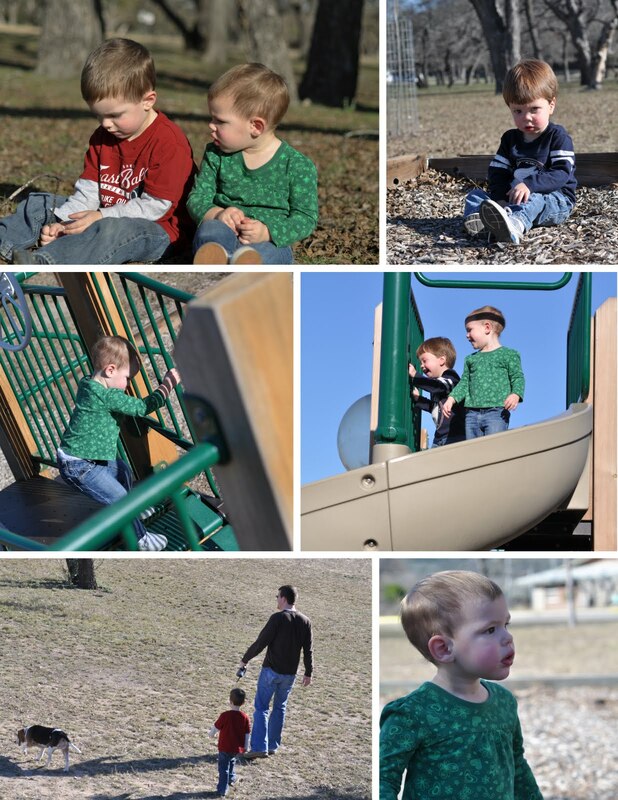 Friday afternoon we headed to Garner State Park where the kiddos played on their play ground. Ross, Jackson, and Bailey went for a hike up part of one of the hills while Leslie and I played with Audrey and Mitchell. There was a small group of trees where I attempted to get some pictures of the kiddos, but they were not in the mood to cooperate. I got a couple of smiles from Jackson and Audrey individually though. 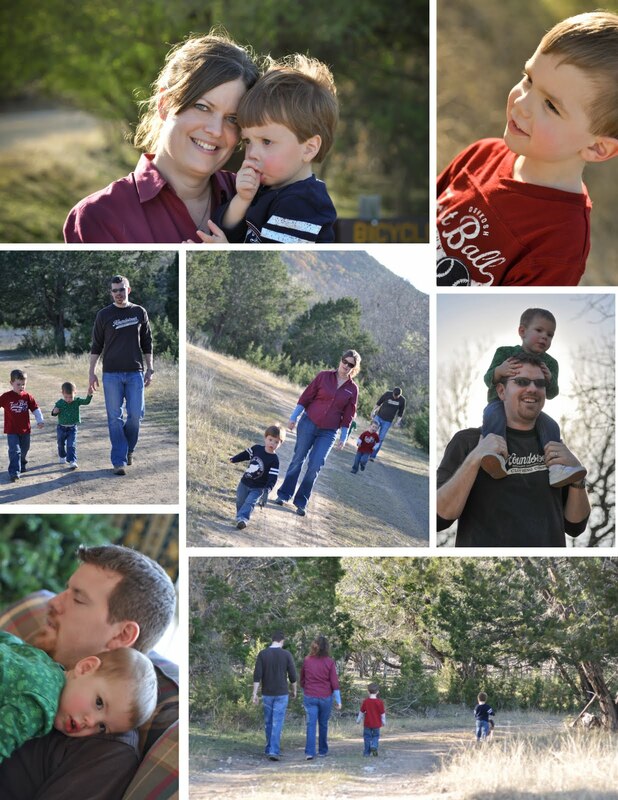 We went for a hike with all of the kiddos on the most flat path in the park. I'm not sure we even made it to the path before Audrey was asking to be carried. It was a gorgeous day to be outside though, and we loved every moment. 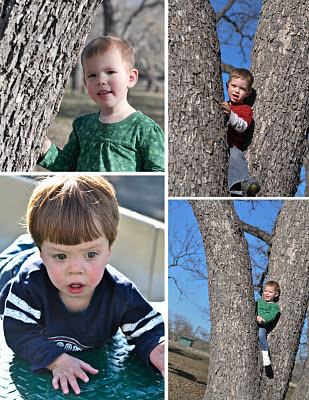 By the time we got back to their house, we were all worn out in the best way possible. The next day, Philip and Ross took Jackson and Mitchell fishing after their naps. Audrey slept a little later than they did, so Leslie and I took her to join them shortly after she awoke. When we arrived, you could tell the boys were having a grand time. Mitchell was covered in mud and throwing rocks in the water while Jackson was busy trying to decide what would make the best bait since he hadn't caught anything yet. 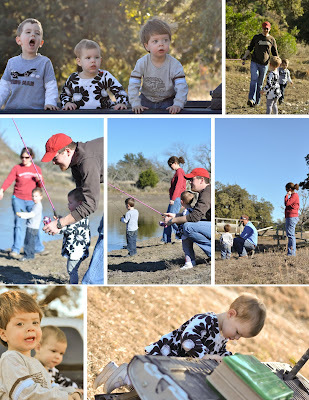 All of the kiddos took a turn fishing, and Jackson did a great job casting all by himself! No one caught anything, but they had fun anyway! 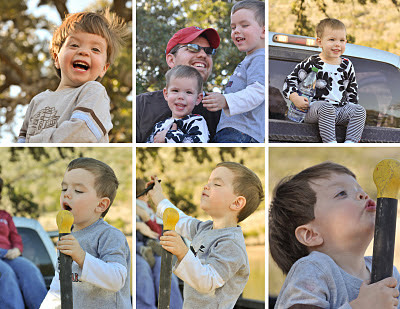 Some of the most fun was had playing in the back of Philips truck. They climbed in and out, yelled and laughed, and used a metal pole as a microphone. Jackson was the lead singer, of course. Mitchell joined in at the end, and Audrey enjoyed the show from the top of the tool box. Jackson and Audrey had a rough time going to bed that night...I guess they wanted to stay up late too. Eventually they crashed, and we rang in the New Year with some of Leslie and Philip's close friends. We had a great holiday break. Believe it or not, I finished 3 books between Christmas and New Years, which I think is a record for me (The Hunger Games series is that good!). Now we're getting ready to get back to reality! There are a lot more pictures from the weekend in the album.